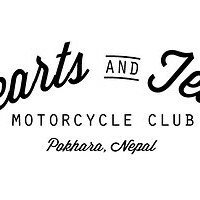 Hearts & Tears Motorcycle Club specialises in vintage Royal Enfield tours of Nepal. They work hard to see glowing smiles that they aim to create through honest advice, safety, first-class service, unique experiences, and pure adventure! They claim to stand alone when compared to other motorcycle tour companies as they are based in Pokhara, Nepal, all year round. For that reason their local knowledge is claimed to be outstanding. When they are not taking fellow riders on breathtaking tours or training new riders in the art of motorcycling, they are off the radar in search of new routes to tour. To put it simply, they exuberate passion about what they do and want everyone to be apart of it!